One-Pot Swedish Meatballs with Egg Noodles - GetCooking! 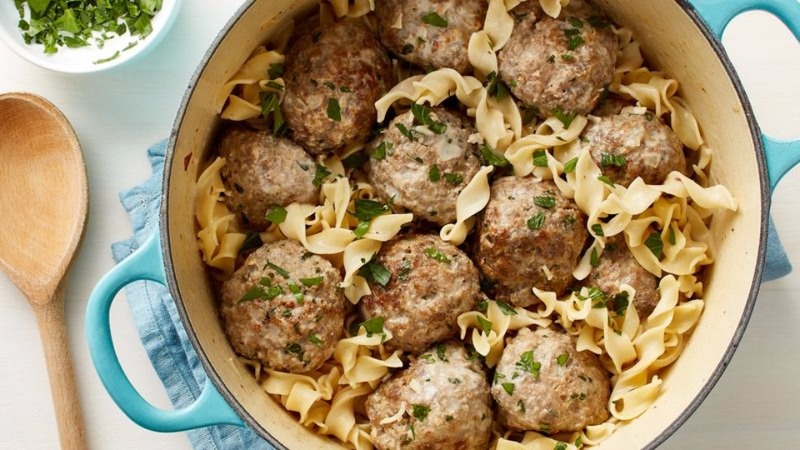 Betty Crocker’s – One-Pot Swedish Meatballs with Egg Noodles recipe. Do dinner and not the dishes with this one-pot Swedish meatballs recipe! You can even double the meatball recipe and freeze the extra meatballs for the next time you’re craving comfort food. View the original recipe notes here: Betty Crocker’s – One-Pot Swedish Meatballs with Egg Noodles.